Thank you to all who bought the beautiful exhibition catalogue and to the APP fundraising team under the direction of Dr Jessica Heron, our Vice- Chair who oversaw the writing and design of the pages - within that catalogue - devoted to the work of APP. Equally: to all those who attended the special evening and to those who bought artwork - from which APP benefited - a huge thank you! The efforts of Sotheby's art exhibition team raised over £6,000 for APP; we cannot praise them enough for their hard work and efficient & kindly professionalism in liaising with us over the past months. 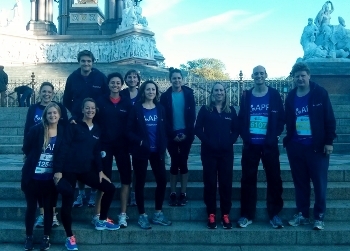 On another front, thanks are also due to the Sotheby's Sporty team who ran the London Royal Parks Half Marathon for APP this October. Theirs was a magnificent gesture not only in fundraising but in raising awareness. Thanks are due to Clarissa Vallat and the entire team from Sothebys: Adrian Biddell, Georgina Borthwick, Emily Bowen, Alice Chubb, Anna Church, Fergus Duff, Gabriel Heaton, Juliana Longo, Kamila Naglik, Margherita Rossi, Bryn Sayles, Pauline Sonmereyn, me, Jessica Wyndham and Karen Young. 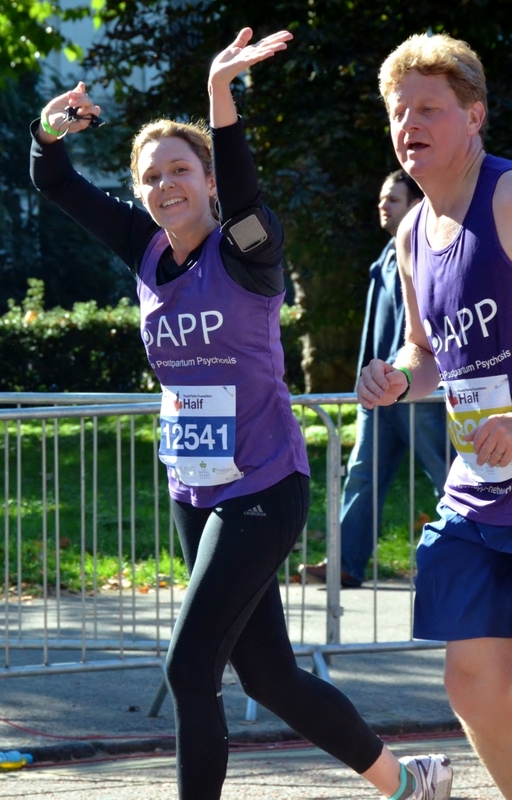 And also to their generous personal and company donors who - at the time of going to press - had raised more than £10,000 for APP, which is truly amazing! 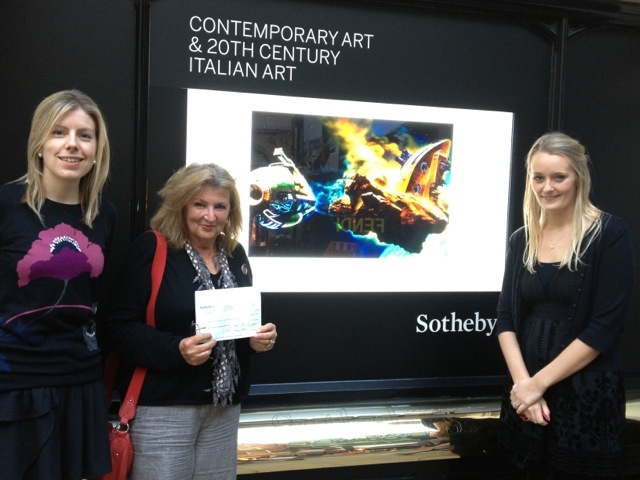 The wonderful effort by Sotheby's staff was done in memory of a much-loved colleague. Needless to say APP will maintain contact with Sotheby's to show what progress has been made with their valuable support in 2013. Now that the final funds from both Sotheby's events have been advised to us and more than could possibly have imagined - we shall be advising all those who donated or supported APP in memory of Alice about what extra we shall be doing with such a wonderful gesture - to address the ignorance & stigma which unfortunately still abounds. On this note in a short space of time we have already set up a UK wide peer support network and also set up the PPTalk forum which is used widely with over 5000 visits per month. We've continued training new volunteer peer support staff to swell the numbers helping women and their families. We've written and published new literature and are busy distributing the information to useful bodies. We're also hosting a new campaigning body MMHA - Maternal Mental Health Alliance and making much progress lobbying and campaigning.